Along with the monthly security updates, Google also published Android 7.1.2 for its Pixel and Nexus lineup this week. The update brings improvements and fixes to Bluetooth connectivity and battery life, among other minor bug fixes. While you would be able to upgrade it via OTA, you can also update Google Pixel to Android 7.1.2 using factory images. 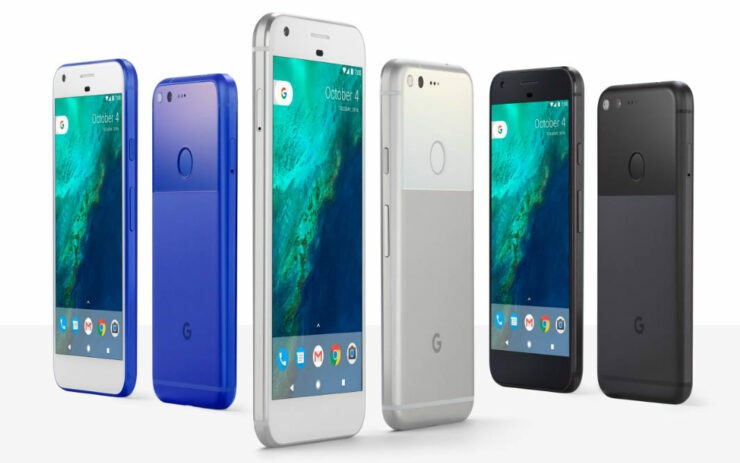 Follow these steps now to update Google Pixel to Android 7.1.2 N2G47E. Extract the downloaded Android 7.1.2 file on your PC. Go to _N2G47E_ folder and copy/paste all the files to your Fastboot directory (which often is the platform-tools folder inside the Android SDK directory). Download SuperSU v2.78 SR5 for your Pixel device on your PC. Download TWRP recovery tool (zip) (for Pixel and Pixel XL) and store the ZIP file in the root directory of your phone. Also, download Fastboot from the following links, depending on your OS and extract it in android-sdk-windows\platform-tools directory. Create the directory if not already there. Step 1: Connect Pixel or Pixel XL to your computer via USB. Step 2: Copy and paste SuperSu zip file to your device storage’s root folder. Step 3 Download TWRP img file (for Pixel and Pixel XL) and save it in the same directory you had extracted Fastboot/ADB files. Step 4: Turn your Google Pixel off. For Pixel: fastboot boot twrp-3.0.2-0-RC1-fastboot-sailfish.img – replace twrp-3.0.2-0 if you are using newer versions. Step 7: Once done, your Pixel will enter in TWRP Recovery. Step 8: Select Install and choose the TWRP installer zip file. Then, Swipe to Confirm Flash at the bottom of the screen to start the installation process. This step will ensure your TWRP doesn’t get reset to stock on reboot. Step 9: Reboot your Google Pixel into recovery mode. Step 10: In the recovery mode, tap on Install and select the SuperSU zip file downloaded earlier. Swipe to confirm flashing. Step 11: Once SuperSU is flashed, you’ll get Reboot System option to reboot your device. Your Google Pixel is now updated and rooted on the latest and official Android 7.1.2. You can verify the root with any Root Checker app.